On a bleak winter morning, a young woman's corpse smolders in the remains of a burned rental cabin. Clues to her identity are rarer than frozen choke-cherries in the Utah backcountry. Deputy Joe Peterson, assisted by Kabe Varghese in his first case as a fire inspector trainee, doggedly hunts for who she is and why she died. As they sink deeper into the investigation, Joe struggles with how his life is now personally and professionally intertwined with Kabe's. 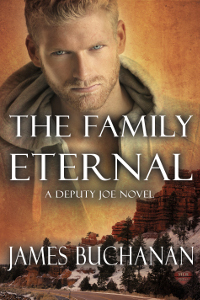 Outed, excommunicated and disciplined because of the man he found love with; the last year of Joe's life has careened like an avalanche toward an abyss. Is doom inevitable? Or is the best chance to live surrendering to the fall?